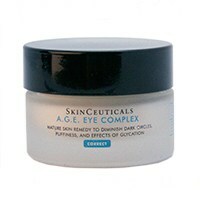 SkinCeuticals developed a product to help mature skin fight the visible signs of aging around the eye area. A.G.E. Eye Complex helps to reduce wrinkles and crow's feet, improve puffiness and dark circles, and correct the appearance of creeping and sagging around the eye area. 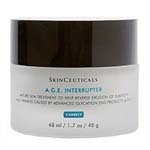 This product addresses the visible signs of aging caused by internal factors, such as hormonal shifts and metabolic slowdown, as well as the anatomy and physiology of the eye area. I used to use the "Eye Balm" from Skin Ceuticals. Last time I decided to try this and it has made a HUGE difference in the way my eyes look! I am sold and it has become one of my favorite products! Thanks! I've seen more results with this product than any I've used. It's a "Must Have" for me! I have tried many different eye products but I can say this one really works. You can use it even below your brow line. I would have dark circles on some sleepless nights but since I have been using the a.g.e eye complex they have disappeared. My wrinkles around my eyes have also softened. I will keep using this product. 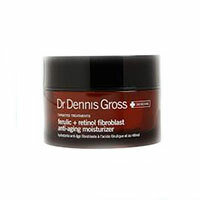 Dr Dennis Gross Ferulic + Retinol Eye Cream (0.5 oz) -Ferulic acid, Retinol, and Ellagic acid provides time-released hydration as it works to strengthen the skins own regenerative ability. Potent ECG Complex and anti-aging oils for younger looking eyes. 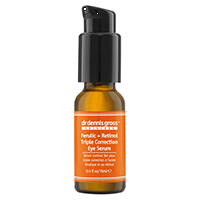 Dr Dennis Gross Ferulic + Retinol Triple Correction Eye Serum (0.5 oz) is a trans formative eye serum powered by retinol and supercharged with ferulic acid to visibly firm skin around the eye, reduce the look of wrinkles, and smooth the eyelid. Neocutis Lumiere Riche Bio-Restorative Eye Balm with PSP technology helps reduce the Appearance Of Fine Lines, Wrinkles, Under Eye Puffiness And Dark Circles. Use Neocutis Lumiere Riche Eye Balm as part of your overnight skin care regime.